An old photo of St. Nicholas Church where Silent Night was first performed on Christmas Eve, 1818. This church was razed in 1906. With such a beloved piece of Christmas as Silent Night, it is not surprising that there are many stories of how it came to be. Although some of these are lovely tales, most are works of romanticized fiction. After studying as many reliable sources as i could find, including many at Oberndorf, I am quite confident that what follows is what we actually know about its composition. 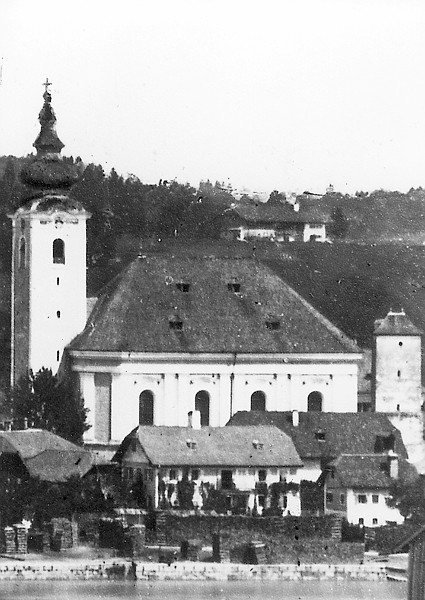 On December 24th, 1818, Father Joseph Mohr walked over to Franz Gruber’s home. He asked the organist to take a Christmas poem the pastor had written two years earlier and set it to music. Mohr and Gruber would sing the melody, the choir would join in, and the accompaniment would be for solo guitar played by Mohr himself. Years later, Gruber’s own words describe the result. “On the very same evening, [I] fulfilled the musical curate’s request and [the] simple composition was immediately performed on the holy night to the acclaim of everyone present.” Silent Night was born. 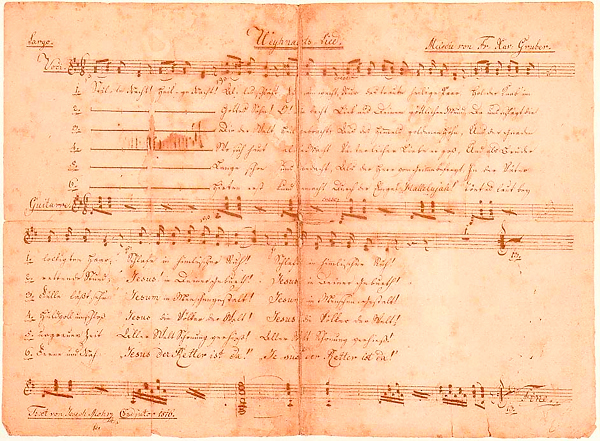 No one knows why Mohr wanted this music to be written, or even why he wrote his six-stanza poem in 1816. Many have speculated that the church’s organ was broken, but there are no records to support this. Perhaps Mohr wanted to play his guitar or even just desired to hear something new. One of the more delightful tales was that mice ate through the organ’s bellows, making the instrument unplayable.